Most photographs shown on this website are available for purchase in the various sizes. Call or e-mail for size availibility and prices. 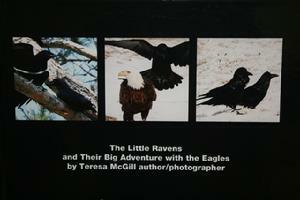 "The Little Ravens and Their Big Adventures with the Eagles"! Follow Dodger and Rodger, the young mischievous ravens, that get into a little trouble by not listening to their parents, and the lessons they learn along the way. Most photos are taken on Jim Habasco III's farm in Charlevoix County, Michigan. This book is dedicated to Jim whose hard work, dedication and conservation for the American Bald Eagle in Michigan made this book possible. Jim and Teresa share the same joy from watching these majestic creatures interact with their highly intelligent and quite mischievous buddies, the Common Raven. Thank you, Jim! 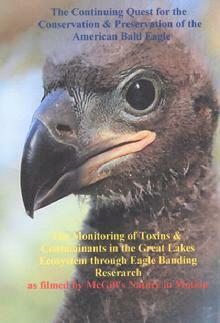 Price $32.00 plus $5 shipping & handling Books are 8 1/2 x 11 1/2 "
Great Lakes State of Michigan has to offer. From Bald Eagles in the winter to the return of the Black Bears in the Spring to Common Loons in the Summer and the mass migration of the Sandhill Cranes in Fall! It is truly an amazing journey through Teresa's camera lens! "Momma Blaze & Her Three Little Bears"
Following Michael & Teresa as they capture the secret moments between a momma black bear and her cubs. Michael & Teresa are privileged to be able to access the tracks of the Toonerville Trolley through the kind generosity of the Stewarts, Kris and Dixie. The Stewarts have opened their arms and their properties to the McGills to give them complete access to the amazing wildife that calls this place "HOME". See what a season along the Tracks of the Toonerville Trolley reveals! Thank you for sharing both your photos and love for wildlife, Teresa! I manage the National Wildlife PhotoZone group on Facebook as well and have always enjoyed your posts. We were very glad to have your photos as part of the challenge, and I'm pleased to let you know that your photo is the winner! 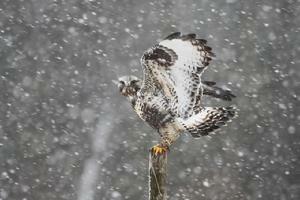 Your rough-legged hawk photo received 42% of the votes. 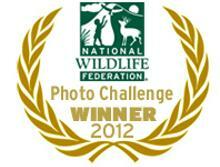 Congratulations again and I hope we continue to see your work in the National Wildlife Magazine Photo Group! Three years in the making-20,000 miles logged throughout this Great State of Michigan- thousands of hours in the field-300 hours of production time. 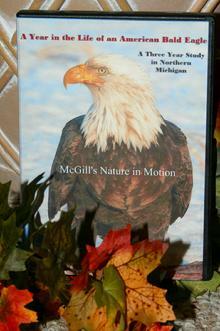 Take this video journey with the McGills from Seney National Wildlife Refuge to Northwest Lower Michigan to uncover some of the secrets of the American Bald Eagle. All prices subject to change plus shipping. 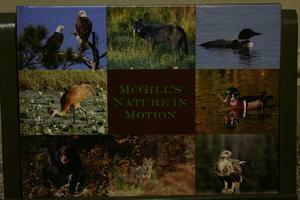 Check out more photos on Facebook- Teresa McGill or McGill's Nature in Motion. Many others photos available contact for more information.